The elitist leader of France, President Emmanuel Macron, was forced to listen to other politicians within the ruling party of La Republique en Marche. 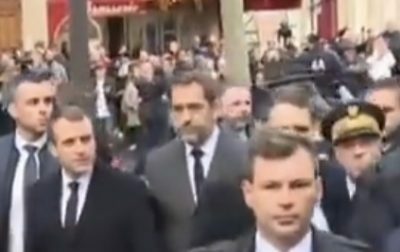 On top of this, Macron looked visibly shaken after viewing the aftermath of recent events in Paris, related to mass demonstrations by the supporters of “gilets jaunes” (Yellow Vests). Therefore, a compromise is in the offing based on the suspension of the fuel tax for the following six months. This climb down by Macron will also include reviewing and listening to different voices outside of his elitist approach to politics in France. Hence, Prime Minister Edouard Philippe announced the suspension of the fuel tax increase that began mass discontent and spiraled to other areas. For example, unhappiness about the cost of living and how the ruling elites are distant from ordinary French citizens. In other words, future demonstrations should be declared officially and in compliance with certain rules. 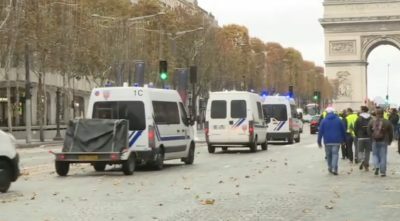 At the same time, demonstrations by the Yellow Vests must be carried out in a peaceful manner declared Philippe. It seems that Macron believes that the suspension will split the Yellow Vests. Yet, without the abolition of the tax rise, the ongoing discontent could erupt at any moment. If further violence erupts – then useful militants will scupper the ideals behind the demonstrations that took place during the initial period. This fact will serve the murky role of the Deep State. Hence, all sides in the dispute will be watching how events unfold based on mistrust – after all, the fuel tax may be reinstated six months later depending on how the general public views the situation. Alarmingly, from the anti-Macron point of view, the state apparatus may be manipulated in order to mislead people. This is based on the murky shadows and the utilization of various means at the disposal of the state apparatus and the useful role of certain media sources.